Cook Farm: 1 E. Hadley Rd. 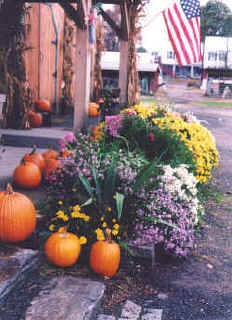 Flayvors of Cook Farm on South Maple St. off Rt. 9, between the malls and Bay Rd. in Hadley. DIRECTIONS FROM I-91 -- Traveling South take exit 24. Go left off ramp and take the next right. This will be Rt. 116. Go approximately 11 miles to Rt. 9. Here you go to the right and immediately merge to the left lane. Take the left at the light onto South Maple St. "Flayvors" is just 2.5 miles on the right. Traveling North take exit 19. Go right off the ramp and over the Connecticut River. Continue on Rt. 9 through 4 lights. At the fifth light go to the right onto South Maple St. "Flayvors" is 2.5 miles on the right.